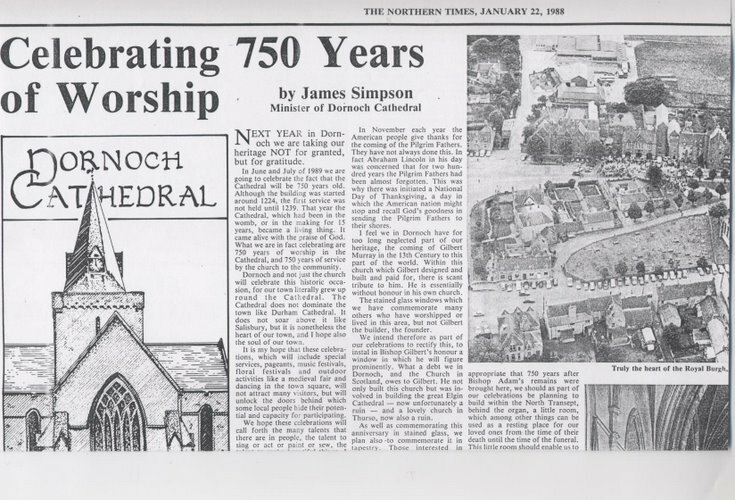 Photocopy of article from Northern Times 22/1/1988 by Rev James Simpson, about forthcoming 750th anniversary of the cathedral. 2 loose sheets. The article names Ian Mackay of the Highland Region Libraries Dept as writer of the script for the pageant (2003_102_002) and Alan Barclay deputy rector of Golspie High School as the producer of the pageant.